With the prospects for many new college graduates dim, many are returning to school to become bartenders. According to Joe Bruno, director of American Bartenders School in New York, over 33 percent of our classes are now college grads. A bartender can earn $150 to $300 daily with salary and tips. This works out to be better than unpaid internships or low end jobs that pay $10 or $12 an hour. It’s a real shame that these kids have invested tens of thousands of dollars in their college degree and not be able to get a decent paying job. Many of my students who recently graduated from college complain that they have borrowed thousands of dollars on student loans. Without a decent paying job they’re scared that they won’t be able to make their monthly payments. One of the good things about learning bartending is that it costs less than $700 and the class only takes 2 weeks. With the vast numbers bars and restaurants, there are always good job opportunities. Since many bartending jobs are at night, this gives recent grads time during the day to look for a job in a field that they graduated in. Another real advantage of learning bartending is that a person can work at it part time to make extra money. There are bartending schools in most major cities. It’s a good idea to visit the school before enrolling. Not all bartending schools are created equal. Look for a school that is licensed by the state. 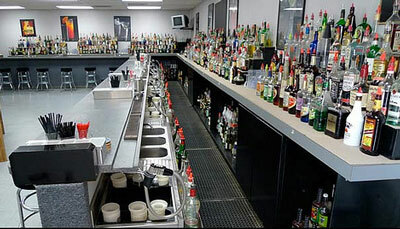 Has a real working bar where you can practice making drinks and a job placement service that can give you some help in finding a job. Beware of cheap schools that guarantee jobs and have one or two day courses. They look good because they are cheap but usually they aren’t state licensed and don’t give a person enough practice time to be confident in their bartending skills. Bartending isn’t for everyone and it’s always a good idea to ask to sit in on a free lesson before deciding. American Bartenders School in New York and New Jersey allow prospective students to meet the instructor and speak with current students before making a decision.